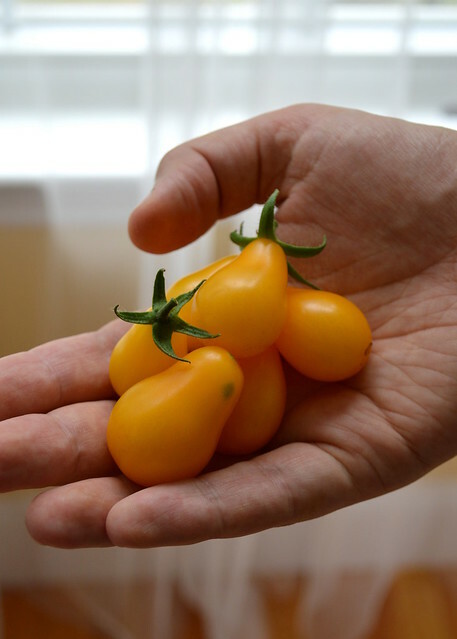 We harvested our first cherry tomatoes this weekend. The scent of the tomato vines takes me back to my childhood and grandparents’ summer house. This heirloom variety is sweet and tasty, and there’s plenty more to come!